Ratchet & Clank developer Insomniac ventures out into the wilds of Facebook today, inviting players from across the known galaxy to capture and battle the exotic alien beasts of Outernauts. I'm going to catch them all, this I swear. 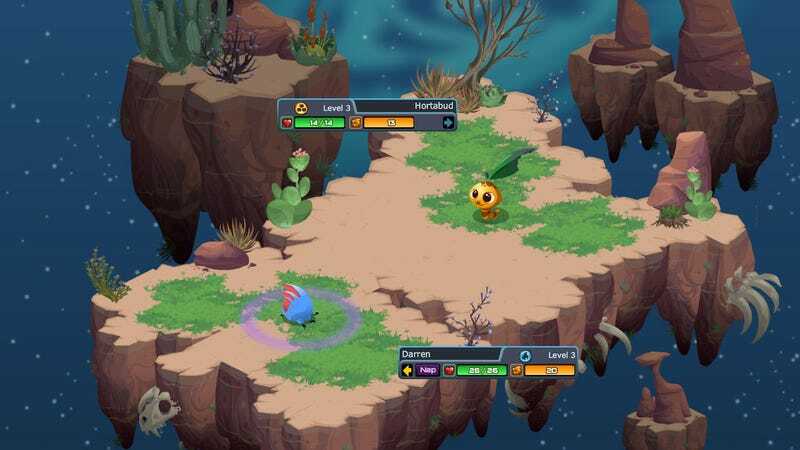 Outernauts is what happens when a AAA game studio sets its sights on the world's most popular social network. It's an adventure role-playing game with building elements. It's a Pokemon-esque capture and battle game. It's got story. It's got style. It's got stirring music. Insomniac Games wraps all of that up in its signature colorful cartoon style (oh that Resistance, so cheery) to create a game that's a cut above common Facebook offerings. Hit up the link to experience the game for yourself. Tell them Fahey sent you.